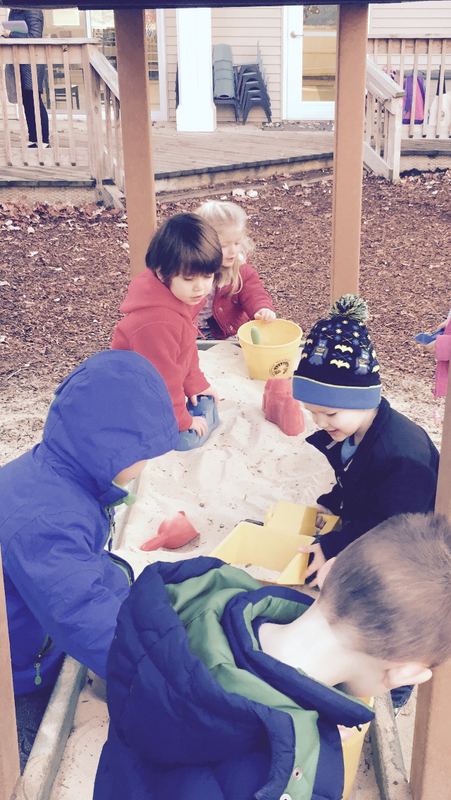 What’s the link between outdoor playtime and more concentration in school? Why do we go outside and play, even when it’s cold and/or snowing? Research shows that physical activity is linked to better academic performance. But that’s not all… Many kids use their recess time to run around but even those who choose to rest or socialize get a boost from recess. “Free time helps kids develop communication skills and strengthen self-control, studies show. They learn to cooperate, negotiate, share, solve problems and cope with stress.” (Read more here in the article featured in the Washington Post). Plus, they get lots of oxygen, which helps boost brain activity. So during the winter break, make sure you step out into the sunshine. You can practically do it in your shorts this year! 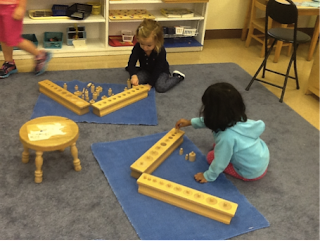 One of the greatest advantages of the Montessori method, particularly during the early learning years, is the focus on hands-on learning. The emphasis is on concrete, rather than abstract learning, as students work on activities that teach language, math, culture and practical life lessons. One young Alumni (hint—she is now working at Westmont as an assistant teacher!) tells her story of her early childhood education… can you recognize her? Read more about what this young teacher remembers from her Westmont experience. And for more details about the benefits of a Montessori Early Childhood Education, refer to this article from education.com which shares some key findings from the research conducted by Dr. Angeline Lillard, a professor of psychology from the University of Virginia at Charlottesville. Dr. Lillard examined the abilities of children who have been taught in a Montessori school. "Children are eager to help with all sorts of troubles. And what's more, they seem to enjoy it!" This remarkable statement from The Human Sparks series on PBS, highlights how humans are naturally altruistic. They get great pleasure out of accomplishing tasks for others. In the Montessori classroom, we help to nurture altruism by creating an environment that belongs to the children. The children learn to put their work away on the shelves, roll up their rugs, and push in their chairs not because the teacher tells them to but because it is helpful to their friends. With multi-age classrooms, children are given many opportunities to help each other as well. Older children can give lessons to younger children, help them put on their coat, and work together with them on tasks. It is the work of the children to take care of and respect the environment, themselves, and others - and they derive great joy in doing so! If you would like to watch the segment of The Human Spark that shares some examples of the studies from the Max Planck Institute for Evolutionary Anthropology, take a look at the clip below. What Makes a Montessori Learning Activity "Montessori"? Self-confidence and a lifelong love of learning characterize the Westmont graduate. 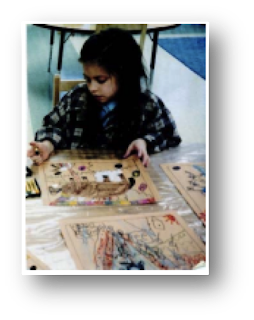 But what characterizes a Montessori learning activity? Check out our new infographic and tell us what you have observed your child likes to do at home, too. What are some of the hands-on activities they enjoy? Thanksgiving is a time for being grateful. Another theme of the holiday season is generosity. Of course, the excitement of getting gifts often becomes the primary focus for children. However, we can help them learn the pleasure of giving to others. The gifts we give are another way to show our gratitude to someone. Talk with your children about the many ways to be generous, whether gifting time, favors, presents, or words of appreciation. Your gift list may include family, friends, neighbors, and service workers. 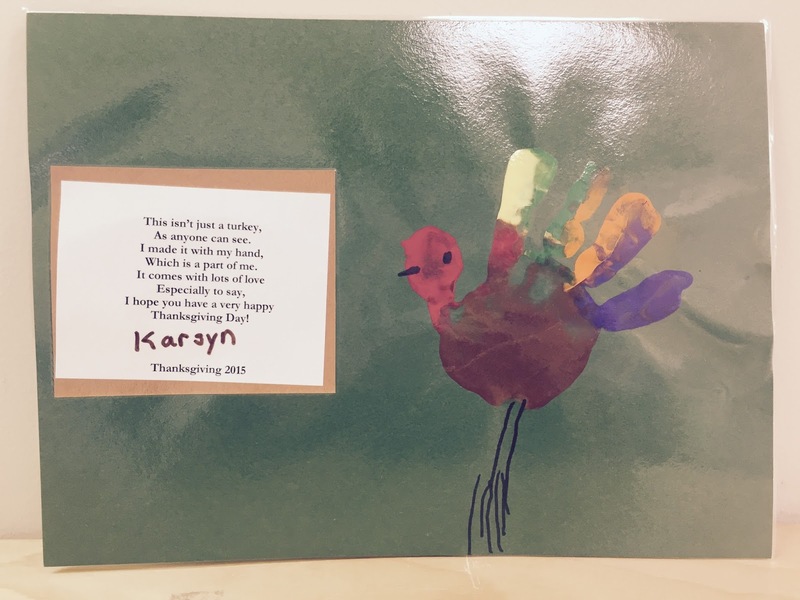 Children are amazingly insightful and will come up with original ideas, as together you discover the perfect "thank you" for that special someone. 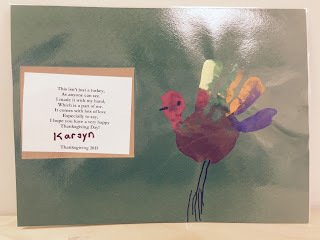 Although sometimes it is easier just to purchase a gift for your child to give another, it is rewarding to involve children in the process of gift-making and giving. This allows your child to be a part of the surprise whether or not they are able to keep the secret. If possible, include your child in the process of wrapping and delivering the gift, too. 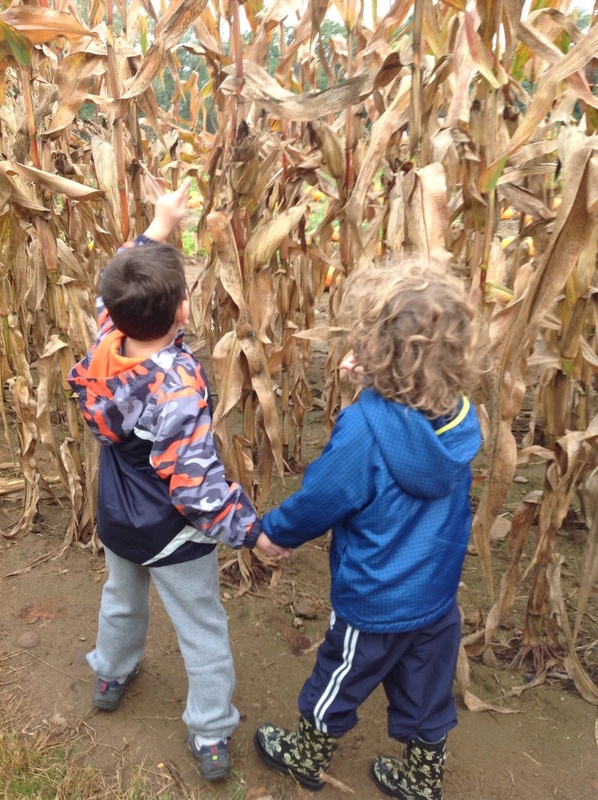 Montessori observed that children become acquainted with the world through movement and experience. The process of making something instills an inner satisfaction in the child which he wants to share. By "doing it myself," the gift becomes a gift of the child's self. The findings help explain a mystery that has been puzzling economists: the slowdown in the growth even of high-skill jobs. The jobs hit hardest seem to be those that don’t require social skills, throughout the wage spectrum. Some economists and technologists see this trend as cause for optimism: Even as technology eliminates some jobs, it generally creates others. Yet to prepare students for the change in the way we work, the skills that schools teach may need to change. Social skills are rarely emphasized in traditional education. “Machines are automating a whole bunch of these things, so having the softer skills, knowing the human touch and how to complement technology, is critical, and our education system is not set up for that,” said Michael Horn, co-founder of the Clayton Christensen Institute, where he studies education. Preschool classrooms, Mr. Deming said, look a lot like the modern work world. Children move from art projects to science experiments to the playground in small groups, and their most important skills are sharing and negotiating with others. But that soon ends, replaced by lecture-style teaching of hard skills, with less peer interaction. Work, meanwhile, has become more like preschool. Jobs that require both socializing and thinking, especially mathematically, have fared best in employment and pay, Mr. Deming found. They include those held by doctors and engineers. The jobs that require social skills but not math skills have also grown; lawyers and child-care workers are an example. The jobs that have been rapidly disappearing are those that require neither social nor math skills, like manual labor. What makes for a great children's book and what are some of your favorite reads with your child? Let's start an ever-evolving, Montessori-inspired book list and let's talk about why Dr. Maria Montessori herself would have approved. Here is one that was written back when she would have had the opportunity to read it herself! Pelle's New Suit by Elsa Beskow (1930): Pelle has a lamb whose coat grows longer and longer, while Pelle's wool suit grows shorter! Pelle shears the lamb, and the wool is carded, spun, dyed and woven with the help of family and neighbors. Finally, the tailor makes a new suit for Pelle. Children (2.5- 6yrs) relish this story of a resourceful young Swedish boy as he trades real work to achieve a desired goal. It is fun to see some Montessori Practical Life activities on Pelle's journey! 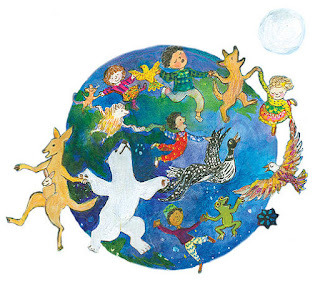 Some other wonderful selections include anything by Ezra Jack Keats, Elisa Kleven, and Eric Carle. Tell us some of your children's favorites and let's read together! In the early 1960’s, a group of Mendham parents got together and formed what is now our beautiful, thriving school. Hand-in-hand, over the decades, Westmont has built an impressive history in Montessori education and in this community. This month brings with it an exciting time of renewal for Westmont—it’s our re-accreditation month. Next week, Westmont is hosting the visiting team for our American Montessori Society and Middles States Association dual re-accreditation. 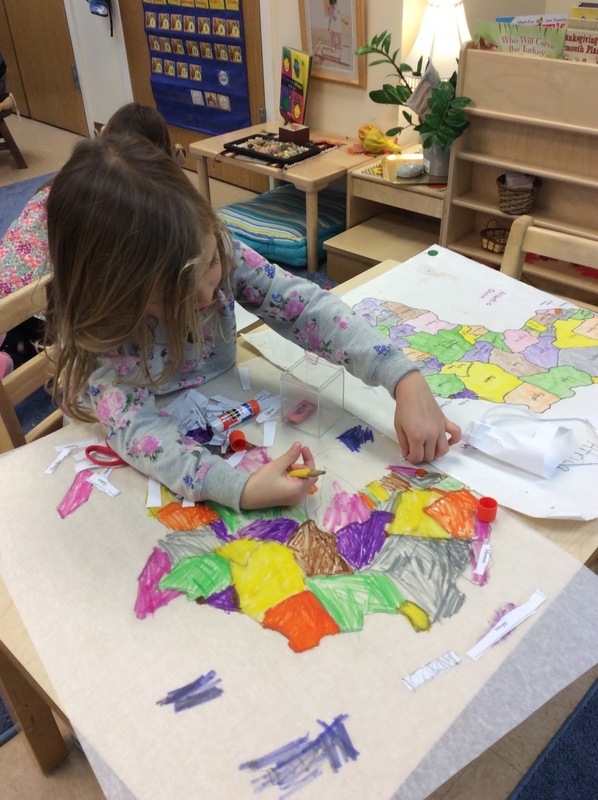 Becoming accredited by the American Montessori Society is a massive undertaking for any school, as it requires hundreds of hours of reflection, preparation, and planning. The culminating part of our re-accreditation process with both AMS and the Middle States Association of Colleges and Schools is when this visiting team of teaching and administrative professionals comes to the school to meet with teachers, administrators, board members, and parents. They also observe in all classrooms and ensure that educational, safety, organizational, and financial requirements are met. The Westmont Montessori School values progress and sees the benefit of self-reflection and goal making to continue to adapt to the changing world and meet the needs of all of our children. Parents can know with confidence that we offer a quality, authentic Montessori program, in a safe and nurturing school where the teachers are all certified. Dr. Maria Montessori was a scientist who is known for "following the child". She observed children and devised her approach to education based on a view that each child is naturally eager for knowledge and discovery. It is an approach that values and supports the development of the whole child—physical, social, emotional, cognitive. Childproofing: We usually do a good job with outlet covers, drawer stops, and so on, for babies, but what about older children? Call it “preparing the environment”: Place and keep televisions, computers, tablets, and phones in public living spaces and set reasonable limits on their use; balance technology with exercise and indoor/outdoor play; and make time for reading aloud and silently in the presence of other family members doing the same. Share meals together, especially dinner and its preparation, as often as possible, five nights a week at least. Share with each other your day as well as thoughts and feelings, and resist the temptation to teach: We learn more through discussion and modeling than through lecture. Allow children to speak for themselves: Respect their feelings and their intellect, even if they are mistaken in their thoughts or behaviors. Show rather than tell. It is the Montessori way. Avoid comparison and competition between children, always and everywhere. Each child is entitled to his/her individuality. Set up home environments and family interactions that allow choices and freedom to choose. Meals, weekend plans, vacations, and gifts for family members are reasonable areas of choice. Understand that mistakes are opportunities for learning. All humans make mistakes; it is what we do with our mistakes that makes a difference. Demonstrate active respect in thought, word, and deed for all life. Be the best model you can be. You are being watched. Children who feel loved and respected will develop their singular potential. Visit the American Montessori Society for more family support materials. The pace of life in today’s world often leaves us and our children feeling the pressure of too many choices, too much “stuff” and way too little time. Engaged and informed parents are fundamental to supporting the peaceful and ethical development of children. Partnership between school, home and the community at large is also essential to helping both parents and their children feel more confident about their choices and decisions. Kicking off the Parent Education Series this fall, The Westmont Montessori School is pleased to announce it’s first session: “How to Raise a Successful Child in the 21st Century”, delivered in partnership with The Ethics Institute at Kent Place School. Dr. Karen Rezach will deliver an interactive, collaborative workshop in which parents will be introduced to the values-based Ethical Decision-making Model developed by The Ethics Institute and suggest ways in which this model can be implemented at home. Dr. Rezach will take a look at how pre-school children make decisions as well as provide concrete strategies that parents can use to help their children cope with different situations—and help their children see that they are capable of dealing with these situations. 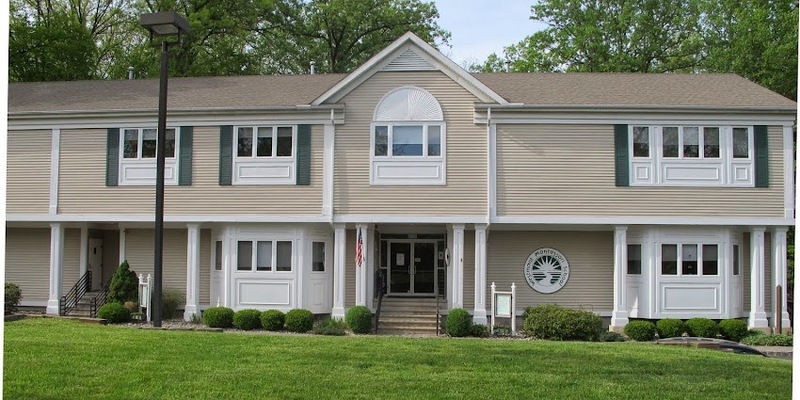 The Westmont Montessori School has been a respected member of the local Mendham/Chester community for more than 50 years and values the strong ties it has with local families. For years, the school has offered a Parent Education Series to help keep parents informed about important topics and, in turn, be better informed about the concerns parents have in today’s world. This is the time of year that our senses are enraptured: the smell of autumn is in the air, the canopy of autumn in the sky and the pumpkin patches are replete with pumpkins big and small. In the Montessori classroom, the purpose of the sensorial materials is to educate and refine the senses. Dr. Montessori observed that the “child's intellect does not work in isolation, but is everywhere and is always intimately bound up with his body”, (Standing, E. M., Maria Montessori: Her Life and Her Work), particularly with his nervous and muscular systems. Sensorial education helps develop a child's intellect through exploration of the senses. Dr. Montessori was a scientific observer. According to Montessori, a child between two to six years passes through the ‘sensitive period’ for the refinement of the senses. She thus took each of the senses and developed beautiful materials that would support children in using and refining their skills of classification, ordering, and pairing to help them build an understanding of the world around them. Plus, the materials are endlessly engaging and fun to work with for inquisitive young minds.